Sergey Kovalev's title defense to be held in his home country, Russia. Since late November, Light Heavyweight champion’s scheduled fight has been postponed in Russia due to scheduling conflicts. The champion Sergey Kovalev will finally return to his home country, Russia for his next ring appearance as announced during a recent press conference Saturday afternoon in Inglewood, California by his promoter Kathy Duva. 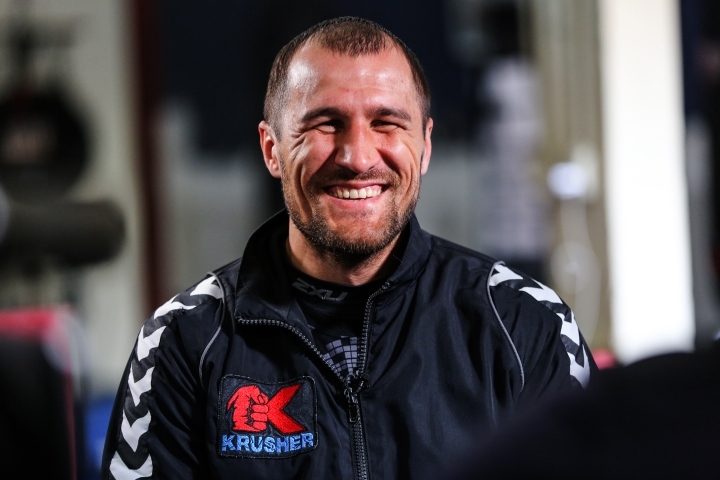 Kovalev will fight Isaac Chilemba on Monday, July 11 in Yekaterinburg. The tournament will take place on the opening night of the International Industry Trade Fair at the DIVS Palace of Sports. The 33-year-old native of Chelyabinsk has not fought in his hometown since 2011. He had only fought in his native just twice before. His last fight led to a fatal 7th round knockout of Roman Simakov who slipped into a coma and died after their clash in 2011. The pound-for-pound boxer has been an extremely active champion since winning his first title in August 2013. Defending his titles for six times, Kovalev had won the World Boxing Assn., International Boxing Federation, and World Boxing Organization belts in his division in 2014. After unifying three belts in 2014 by defeating Bernard ‘The Alien’ Hopkins, the 2014 Fighter of the Year, Kovalev will be training in Big Bear for the bout in Russia. In January, Kovalev defeated Jean Pascal who retired on his stool after seven rounds of a painstaking beating in Canada. Kovalev’s aforesaid repeat win over Pascal marked his first fight under the agreement with HBO Pay-Per-view. The upcoming bout with Chilemba would be the second appearance preceding an HBO telecast featuring another fighter.